So, you want to learn how to code in Boston but aren’t sure where to go. There is no ‘one size fits all’ Coding Bootcamp. One thing is for certain though, there is a programming language for everyone. Everything greatly depends on what you’re looking to do for a career down the road. So be sure you choose based on what you’d love to do, not by the average base salary. 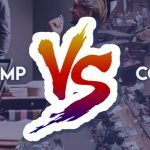 Whether you’re looking to make a big career change, or just want to stay up-to-date on the most popular programming languages, here are the 5 Best Coding Bootcamps in Boston that’ll teach you how to code. If you know exactly what language you want to do, General Assembly offers different full-time courses that teach tons of coding but are broken down into various specialties. Their primary topics include data science, UX design, and web development. Coding Temple’s 10 Week Full Stack Development Course provides a thorough primer on all of the tools and technologies required to envision, design, build, test, and deploy completely functional web applications. Horizons School of Technology is a coding school designed for intelligent and ambitious high school and college students. They offer full-time summer and semester programs that arm them with the software skills of an engineer and the perspective of an entrepreneur. Launch Academy is a full-stack coding bootcamp that turns aspiring techies with little to no coding knowledge into junior contributors who add value to software engineering teams. Harvard Extension School offers a programming certificate that teaches the fundamentals of computer programming and language so students of varying skill-level can work in software engineering, web development, or database management. Coding skills mean versatility. From finance to health care, today’s high-growth industries are searching for talent to transform ideas into digital innovation through logic, creativity, and code. All the data in this blog has been updated from an article written over 2 years ago by Justine Hoffner. We considered these to be the most influential coding bootcamps in Boston. Are there any other coding bootcamps in Boston you think should be on this list? Let us know by contacting us! 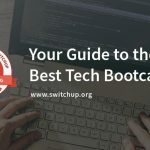 SwitchUp Interviews Coding Temple Graduate Daniela A.